On a perch nestled into North Beach Park sits your dream. 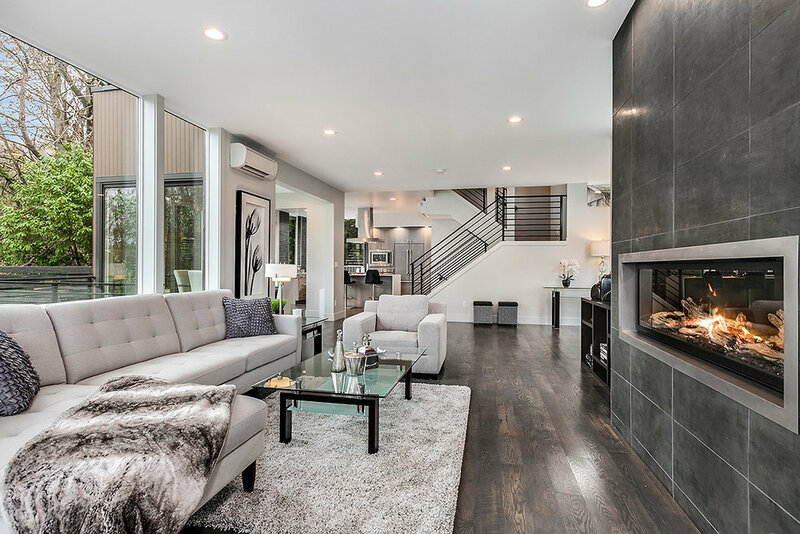 Modern finishes & thoughtful design. Touch the surfaces; feel the quality construction. Dine in changing autumn leaves. Bask in year-round light from large windows & nestle by a statement hearth. Neighbors are nature & serene forest. Your view from the roof deck is sunsets & Puget Sound. Tucked between the city & Golden Gardens, find the perfect balance of style in nature. Modern NW living, for you.